Have You Checked Your Beneficiary Designations Lately? Most everyone enjoys dreaming of winning it big in the lottery. News media outlets publicize the large unclaimed pots of money on the evening news and they put a spotlight on the lucky multi-million dollar winners. Ever wonder what the tax math looks like? 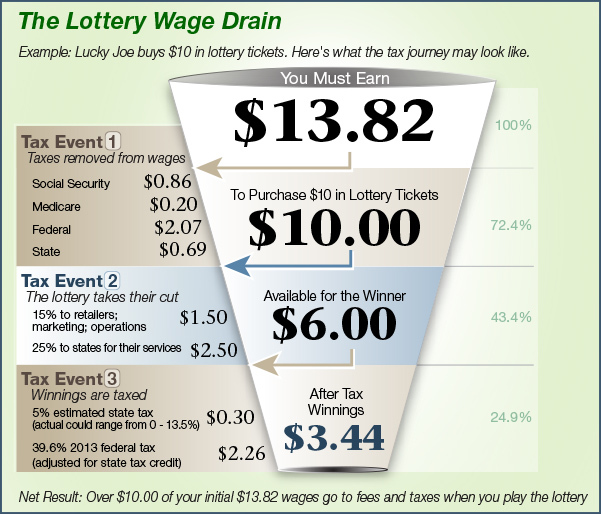 The bottom line when seen from a wage stand point is that 75% or more of the income used to play the lottery does not end up in the hands of the winner. business income tax, personal income tax, and payroll in Tucson, Arizona.